This entry was posted on June 11, 2014 by B4S. 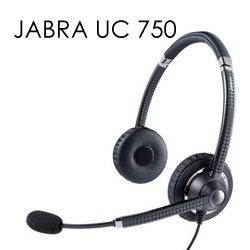 With The Jabra UC Voice series of headsets Jabra ( formerly GN Netcom ) have come out with a range of lightweight and well priced wired/ corded headsets perfect for office or call centre environments, particularly those which use Unified Communications (UC). They all will connect to your system via USB. 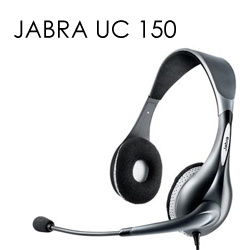 These can be considered the entry level headset of the Jabra UC Voice headset range, with low cost headsets available in either monaural or binaural with a useful USB connection which includes a volume control. These simple to deploy and use headsets ensure a 'quick user adoption' as they are plug and play - easy to use and operate. 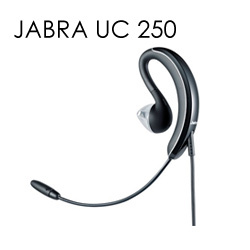 The 250 in the UC Jabra range is a monaural corded behind-the-ear business headset with a thin boom microphone, it is not intended for all day use rather for occasional use. Its lightweight and unobtrusive design makes it perfect for video conferencing as it not only has great sound pick up and transmission but it looks stylish also. 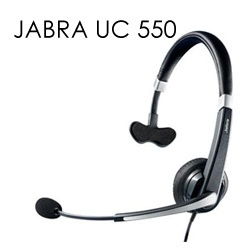 The Jabra 550 is a full on corded business monaural headet and as with all in this range it is certified for use with all major Unified Communications systems. It can be worn all day with its comfortable leatherette ear cushion, allowing an ear for office chat as well. The microphone is noise cancelling - allowing clear communications free of background noise. The 750 has been lovingly designed by Jabra for a full on telephone operative who makes use of UC for the majority of their working day. It is binaural - allowing the user to focus on the conversation rather than being distracted by background noise and, of course, noise cancelling. It has been built to be lightweight, comfortable and durable and is available in black or white. An additional feature is that the Jabra 750 comes with a travel pouch so that it can be easily carries around for business meetings. This range of wired business headsets give a fantastic choice for all professionals who demand a high quality, simple to use, comfortable and durable headset which gives a great sound. They are very simple to deploy and use - with the facility to pick up, hang up, mute and adjust volume from the USB connection cord.  The range also holds certification from Cisco™, Avaya™ and Microsoft™ dependent upon the model. Best4Systems range of Jabra Voice Headsets can be viewed here.